Surface Dial is a completely new way to interact with technology and create in the most natural, immersive way. Store, customize, access, navigate, and reimagine physical tools in the digital world - from concept to creation. The ultra-slim Surface Go Type Cover boasts a full-mechanical keyset, backlit keys, optimum spacing for fast, fluid typing, and an extra-large glass trackpad for precise control and navigation. 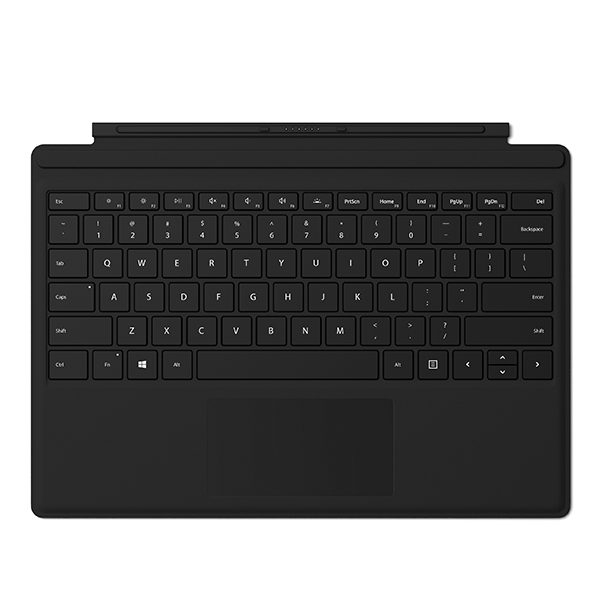 Open Surface Go Type Cover to use it as a laptop with Surface Go* Kickstand, fold it back for tablet use, and close it to shield the display. New Surface Pen is better and faster than ever, with precision ink on one end and a rubber eraser on the other - plus tilt for sharing, greater sensitivity, and virtually no lag. Sketch, shade, and paint with artistic precision and finer control with 4,096 pressure points that respond to the lightest touch. Effortlessly express the finest sketches and lines with Surface Pen. Rest your hand on the screen of your Surface device, just as you would writing on a notebook. With Surface Dial in one hand and Surface Pen in the other, unlock your creativity with easy access to shortcuts, controls, drawing tools, and more. Use directly on screen with Surface Studio, Surface Pro, and Surface Book 2, and off screen with other Surface laptops. Unlock your Surface Pro with just a touch. This Type Cover with fingerprint ID security makes remembering passwords a thing of the past - all you need is your fingertip thanks to the convenience of Windows Hello. And should you need to use passwords again, you can easily store them in one place with Microsoft Passport. This Type Cover adjusts to virtually any angle and clicks easily into place, transforming your Surface Pro from tablet to laptop. Fold back like a magazine for a take-anywhere tablet. Close to shield your display from damage and conserve battery life. Our new Signature Type Cover goes beyond traditional keyboards to add warmth and elegance to everyday tasks. Constructed with luxurious Alcantara® material sourced from Italy, it features a soft, smooth feel.